Invoice forms are used by contractors or sellers to claim the amount that their client might be eligible to pay. These forms are used to elaborate on the services or the products offered by the person along with the rate for each. Invoice forms make it easier for the buyer as well as the seller to carry out a transaction in a systematic manner. Sample invoice forms are a blueprint for invoice forms and can be altered by the users as per their needs. You can also see Sales Receipt Forms. 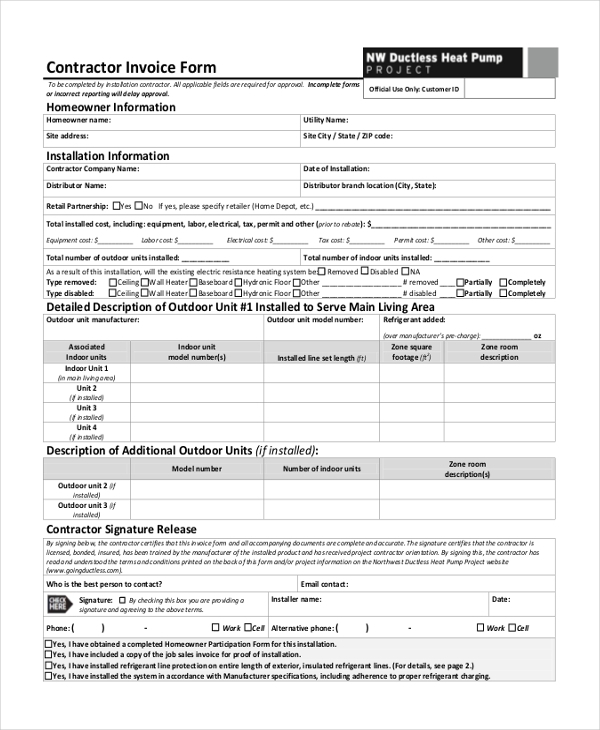 A contractor can use a sample contract form to design a unique invoice form for his firm. The sample form gives him an idea of the subheads and format for the form. 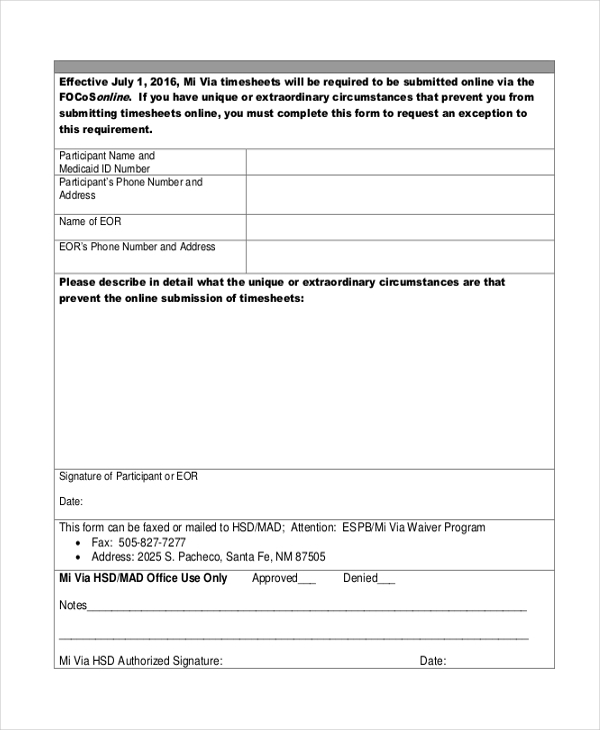 A business organization or a manufacturing unit can use this form to create an invoice form that it can share with its customers to claim the amount due. 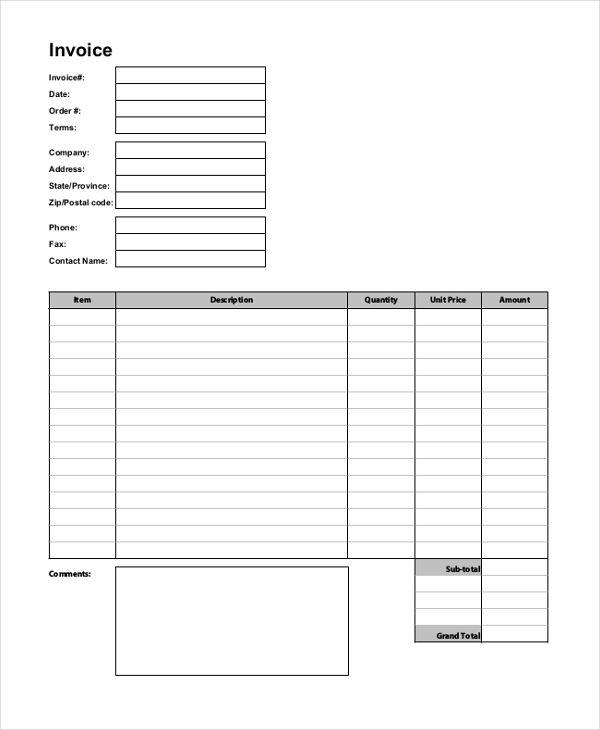 A retail store or a showroom can make use of this sample form to design a sales invoice form that would help it to offer a valid receipt to the customers. 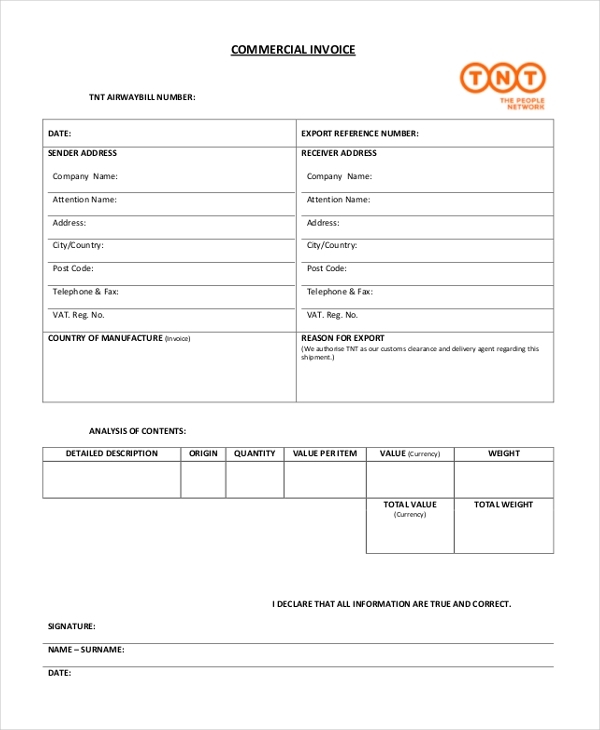 Used by commercial business owners, this form gives them an idea to design a unique invoice form to share with their customers. 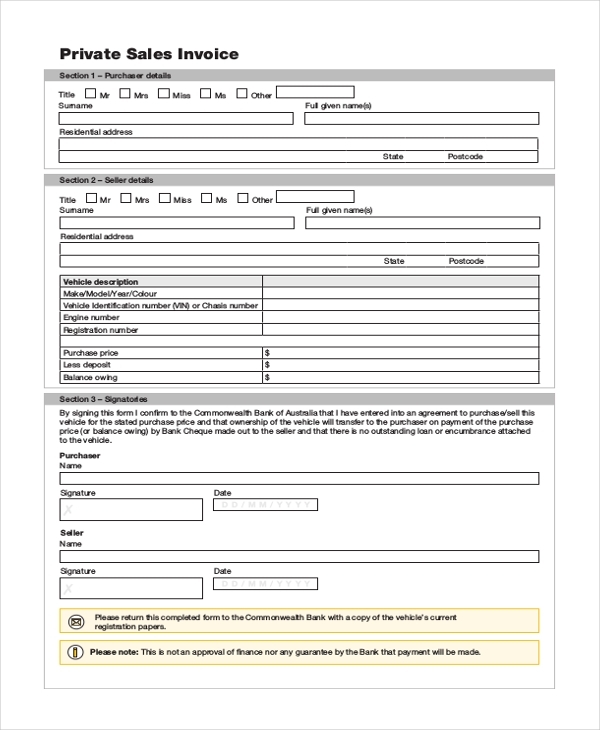 A person offering plumbing services to clients can make use of this form to offer an invoice for the service rendered by him, to claim the amount payable. A car rental agency/ transportation company uses a sample mileage invoice form to give the details of a journey to the customer in order to claim the dues. 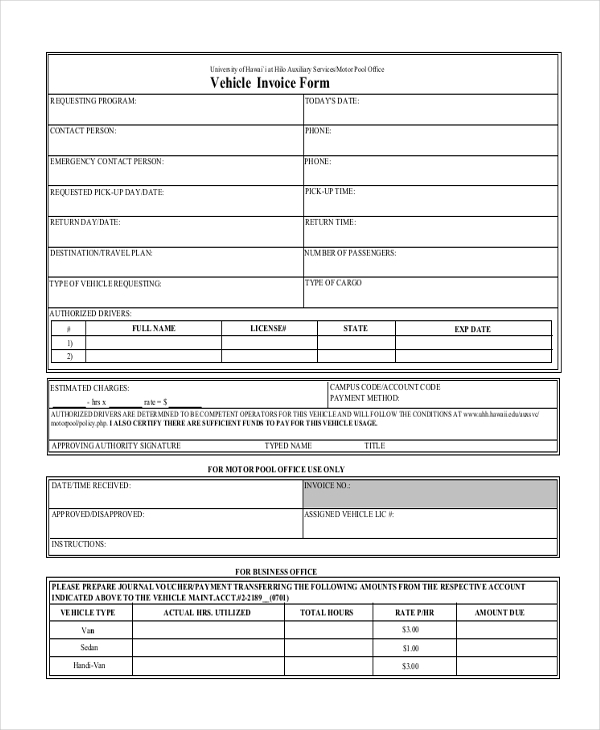 A vehicle dealer or automobile showroom can use this blank invoice form to elaborate the details of the vehicle bought as well as the additional accessories added to it, to inform the customer of the amount due. 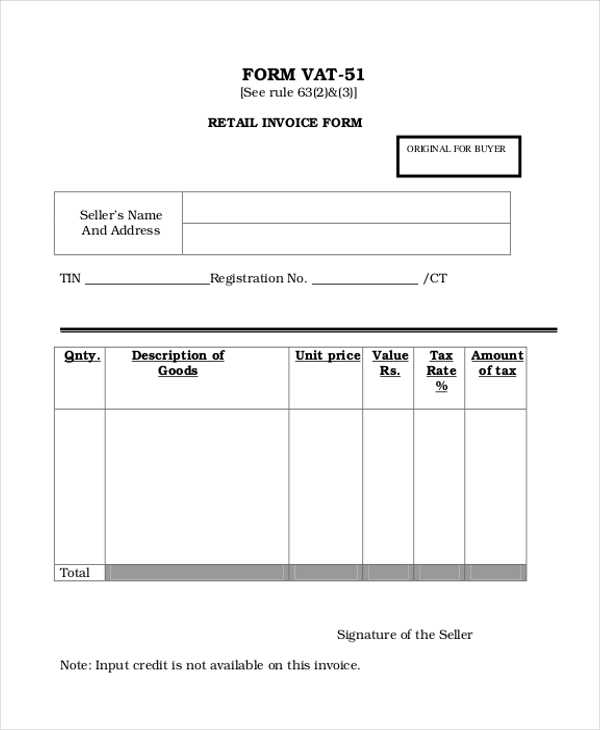 A retail store owner can design an invoice for his store using this sample retail form to be used to jot down the details of the products bought by a customer. 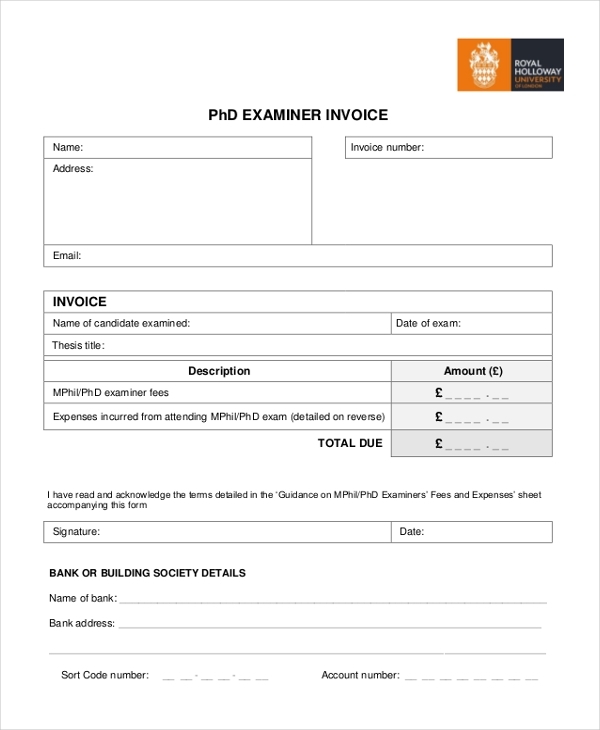 A university uses this form to allow the Ph.D. examiner to present the authorities with an invoice for the services rendered by him. Any person or agency that may be offering photocopying services in bulk can make use of this form to design an invoice for their services. What are the Benefits of Using Sample Invoice Forms? How to Format Sample Invoice Forms? First add the name of your organization or agency at the top of the form along with the logo, if any. You can also add in your contact details like address, phone numbers, email id etc. Follow this with a segment where you can enter the name of the customer and other details. Below this, design a table wherein you can list down the name of the product/service and their corresponding rates, quantity ordered and total amount due. 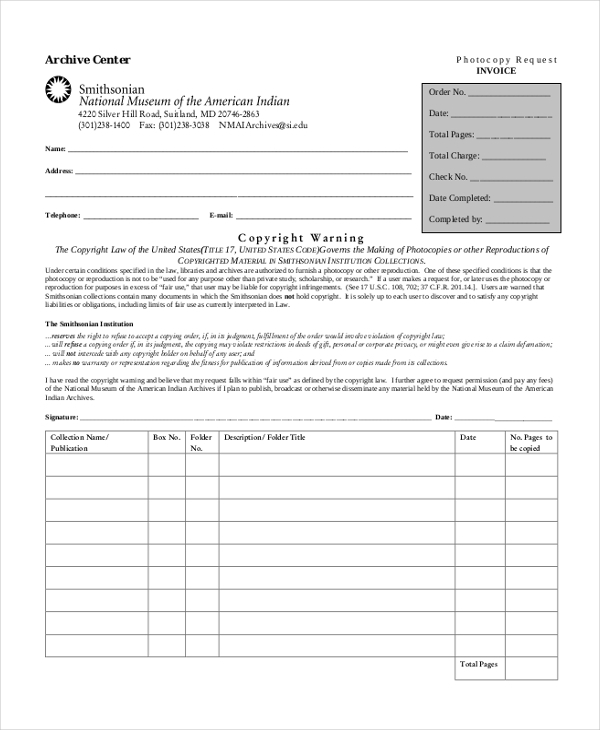 At the end, leave out some space for you to sign and place your seal. You may also see Cash Receipt Forms. 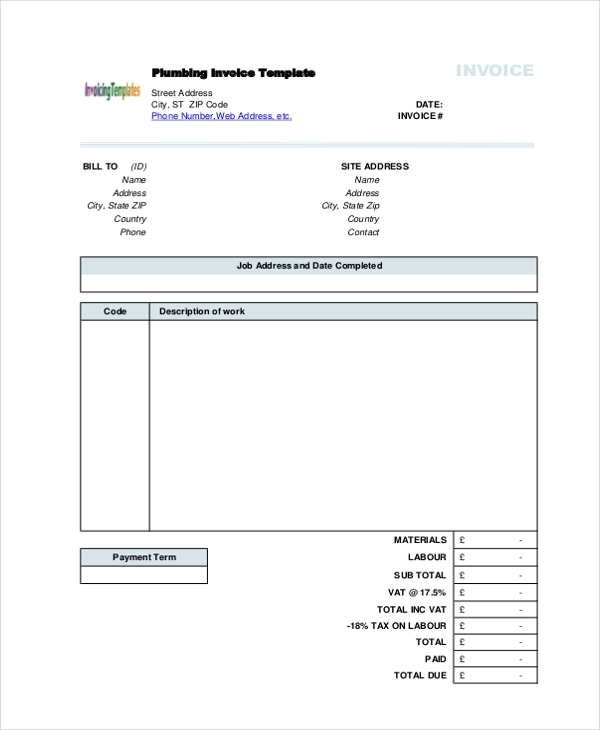 Sample invoice forms can help you to design a unique invoice for your organization. Check out the different types of sample invoice forms we have to offer and find the one that is apt for you. These can be easily downloaded and customized, thus saving you a lot of time and effort. You can also see Sales Order Forms.